I'm generally not a big ice-cream fan, but now and again a flavour comes along that catches my interest. 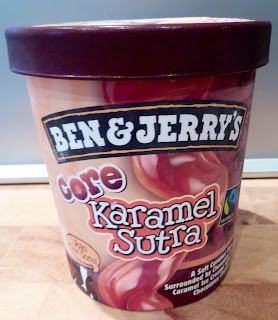 Tonight I delved into a tub of Karamel Sutra, one of the new 'Core' range that has recently been released by Ben & Jerry's. 500ml of creamy vanilla ice-cream, rich double chocolate chip ice-cream, and a wicked core of thick, sweet caramel sauce running straight thought the middle. As me and Nicola sat on the couch with two spoons I tried to think of any dubious link that might allow this to be one of my 'five a day', however every time I thought I had found the link, Nicola broke my concentration by passing the tub back to my side of the sofa. Ben & Jerry's have always had a knack of creating great flavour combinations. This time I think they've outdone themselves. 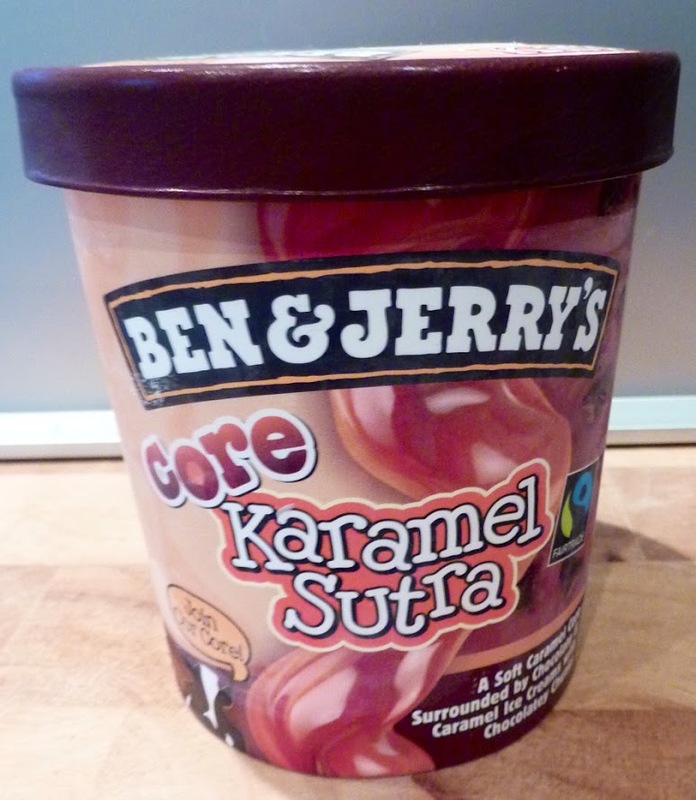 Karamel Sutra is a delicious and naughty way to end the holiday weekend. Next time you're in the freezer section of your local supermarket, do your self a flavour and put a tub of Karamel Sutra in your basket.